The 7th Plenum of the Party Central Committee (12th tenure) issued Resolution 26-NQ/TW on “Concentrating on building a contingent of all-level cadres, especially at strategic level with sufficient virtue, capability and credibility on a par with their assigned tasks” with an emphasis on viewpoints, goals, missions, and solutions to build a contingent of cadres in the new situation. Thoroughly comprehending the spirit of the Resolution lays a sound foundation for building the contingent of cadres who deserve to be at the root of every work. Profoundly grasping Ho Chi Minh’s thoughts on personnel and personnel work and objective requirements over the course of revolutionary leadership process, our Party has always paid special attention to building a pool of cadres with adequate virtues and capability, matching revolutionary requirements and missions in every historical stage. Since the 8th National Party Congress, the Politburo and Secretariat have promulgated 142 documents concerning personnel work, including 7 special resolutions, 7 directives, 18 conclusions, 52 rules and regulations, 17 announcements, and 41 guiding documents, thereby attaining significant results on the building of all-level cadres. The contingent of cadres has been increasingly fledged and qualitative on many fronts; the number of cadres holding undergraduate and postgraduate degrees accounted for 7.3% of the country’s total population. The proportion of leading and managing cadres aged below 40 working in central ministries, branches, and sectors reached 6.22%; this ratio at provincial level stood at 6.41%, and a ratio of leading and managing cadres aged under 35 working at district level reached 6.5%. The percentage of female cadres under the management of the Party Central Committee, the Politburo and Secretariat working for local governments rose up to 20% from 10%; the proportion of female cadres working in central ministries, branches, and sectors stood at 13.03%. Personnel planning basically ensures a smooth transition between generation and age gap. A vast majority of cadres exhibit firm political willpower; steadfastly pursue the goal of national independence and socialism; display good morality and simple and exemplary lifestyle; discipline themselves and strive to accomplish their assigned tasks; many of them show their dynamism and creativity, and accommodate themselves to economic globalization trend. The fully-fledged and burgeoning contingent of cadres has made significant contributions to historical and enormous accomplishments in the cause of national renewal and Homeland construction and protection over the past 30 years. Yet, overall, our contingent of cadres are large, but not strong enough, as evidenced by personnel imbalance in some places; inadequacies in economic structure and inter-sector collaboration; and a shortage of superb leading and managing cadres and leading scientists and experts. The proportion of centrally controlled cadres aged 56 or above working in central ministries, branches, and sectors reached 56.86%. A number of officials and public servants belonging to ethnic minority groups in central and provincial governments merely accounted for approximately 05% and 14.7% respectively. The percentage of cadres undergoing economic and legal training stood at 60.49% whilst this figure for cadres with scientific and technological and international cooperation expertise was only 16.56%, and the proportion of cadres with party building and state administration training only reached 8.36%. Several leading and managing cadres, including strategic-level ones have low credibility and inadequate virtues and capability; detach themselves from the masses; get implicated in corruption and interest groups. A portion of cadres have degenerated politically, ideologically, and morally and exhibited manifestations of “self-evolution” and “self-transformation”. In recent 10 years alone, over 700 violations have been detected in groups and corporations under direct authority of Party Committee for Central Enterprise Block, including 280 criminal offences and over 1.700 cadres and party members facing disciplinary action and 181 facing legal action. Those limitations stem from multiple reasons with insufficient awareness and responsibility of some party committees and organizations and sluggish reforms in personnel work coming first. The decentralization of power is not associated with binding responsibility of organizations and leading individuals as well as with inspection, supervision and control over power. Inadequacies in personnel appraisal lead to procedural but unsuitable personnel appointment. The inspection and social feedback of Homeland Fronts and mass organizations on personnel work and the building of a contingent of cadres have yet to match realistic requirements, etc. At present, our nation is confronting new mission requirements characterized by opportunities and challenges. The cause of national renewal and extensive international integration has been more complicated and difficult than ever before. Global and regional situations have seen swift complicated and unpredictable developments. Amidst economic globalization, the fourth industrial Revolution has presented multiple opportunities and challenges to the cause of Homeland construction and protection. The upcoming time will be a transitional period between a generation of cadres matured and cultivated in wartime and primarily trained under socialist regime and a generation of cadres matured and cultivated in peacetime and trained in various countries of different political regimes, etc. Those developments necessitate appropriate solutions to successfully accomplish the target of “building a quantitative and qualitative contingent of cadres, especially strategic level ones with sufficient virtue, capability, and prestige on a par with their assigned tasks, matching strategies of socio-economic development and Homeland protection, ensuring their capability of turning our country into a modernity-oriented industrial one by 2030 with a view to becoming a socialist-oriented modern industrialized one for the sake of the goal of prosperous people and strong, democratic, equitable, civilized and increasingly happy country” by 2045. To this end, it is necessary to firmly grasp viewpoints on building the contingent of cadres, namely cadres are a determinant to national revolutionary cause; personnel work is a “key” phase of the work of party building and political system building; the Party’s unified direct and comprehensive leadership over personnel work and management; regularly innovating personnel work in line with realistic contexts; maintaining a close relation between political guidelines and personnel ones; the building of a pool of cadres is the onus on the entire political system, directly on party committees and organizations, especially the Party’s personnel offices as the core. 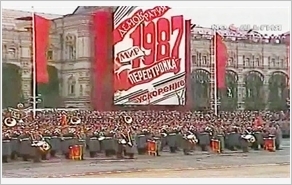 Additionally, it is crucial to promote the work of political ideological moral and lifestyle education for cadres and party members; to continue to reform and enhance the quality and effectiveness of personnel work; to build a pool of all-level cadres with sufficient virtue, capability and credibility, satisfying mission requirements in the new situation; to focus on building a contingent of cadres at strategic level on a par with their assigned tasks; to tightly control power to preclude negative practices in personnel work; and to uphold the role of the masses in building a pool of cadres, etc. To comprehend and actualize those solutions, it is important to concentrate on “two core” missions and “five breakthrough” solutions. The former includes comprehensive, synchronous, and effective reforms in personnel work, and a focus on building a contingent of strategic-level cadres and heads of party committees and commandants at all levels in parallel with power decentralization, and promotion of inspection, supervision, and tight control over power. The latter are as follows: reforming the work of personnel appraisal; tightly controlling cadres’ power; consistently making appointment of heads of province-and-district-level party committees from other localities; reforming salary and housing policies to incentivize cadres’ single-minded devotion to their duty; and maintaining a close bond between cadres and party members and the masses. Cadres are at the root of every work; the building of a contingent of cadres is considered a matter of the utmost importance and the Party’s regular mission. Those statements have been repeatedly enshrined in Party documents; however, a highlight of this Resolution is the policy of “concentrating on building a contingent of strategic-level cadres” as a key task in personnel work, a matter of paramount importance, and a determinant to national revolutionary cause and survival of the regime. This policy stems from special significance of the contingent of strategic-level cadres to policy implementation and making. Furthermore, bringing this policy to life will create a complete transformation and breakthrough in awareness of building a contingent of cadres in a focalized manner. A further highlight is that the Party Central Committee proposed two missions, namely standardizing and tightening discipline over cadres and providing a mechanism for facilitating cadres’ radicalism and creativity and protection; and power decentralization and inspection, supervision and control over power and attaching power with responsibility. Proper execution of the two missions will redress limitations in personnel work such as abuse of power, conservativeness, etc. Moreover, a major breakthrough in making appointment of heads of provincial-and-district-level party committees from other localities also contributes to preventing localism and nepotism in personnel planning. Cadres act as a determinant to national revolutionary cause; personnel work is a “key” phase of the work of party and political system building, hence the building of the contingent of cadres must be an integral part of the work of Party building and rectification and tightly attached to streamlining of political system. Subsequently, in parallel with profoundly perceiving viewpoints, targets, missions, and solutions to build the contingent of cadres stipulated in the Resolution No. 26-NQ/TW (12th tenure), the building of the pool of cadres must be closely attached not only to the implementation of Resolution 04-NQ/TW (12th tenure) on Party building and rectification and Resolution 18-NQ/TW (12th tenure) on streamlining the apparatus of political system, but to the effective execution of Directive No. 05-CT/TW by the Politburo (12th tenure) on “accelerating the study and following of Uncle Ho’s thought, morality, and lifestyle”. To this end, in addition to firmly grasping the Resolution, every party committee and organization and party member, particularly key cadres at all levels must be determined to take the initiative in implementing personnel work in a serious, responsible, and creative manner as a basis for cherry-picking cadres with adequate virtue, capability, and dedication for the Party and the State, matching the requirements for the cause of building and safeguarding the Homeland of socialist Vietnam in the new situation.